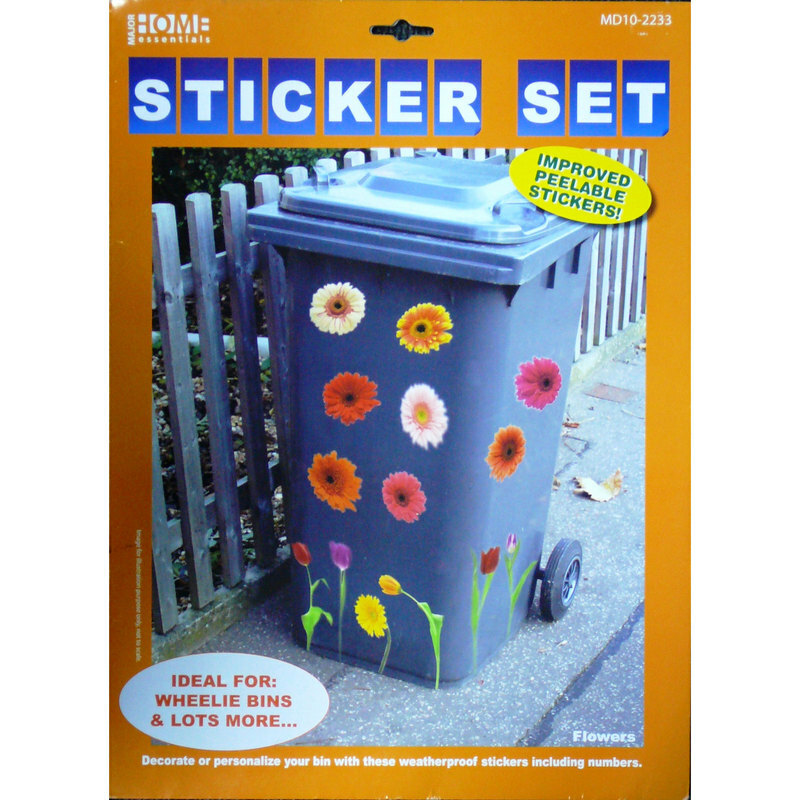 Wheelie Bin Stickers are a great way to keep track of your bin and stop it getting mixed up with your neighbours! A new form of artwork designed to make your bin stand out, this new craze is sweeping the nation as customers use the wheelie bin stickers to make their house number more visible. Easy to fit, and with no cutting required, Wheelie Bin Stickers are suitable for any flat surface, or side of bin. Including two sheets of letters and numbers, you can personalise your wheelie bin to be uniquely yours! Colourful and FUN, celebrate your individuality and never let your Wheelie Bin be thought of as dull and boring again! - 1 x sheet of 9 Gerbras. - 1 x sheet of 5 Tulips. - 1 x sticker sheet of letters. - 1 x sticker sheet of numbers.